The fourth of November means that we can try to forget that the rich and privately educated have taken over in the UK, and may be about to crown the plutocrat Mitt Romney in the USA. This is the day when the Romans officially opened the ‘Plebeian Games’. The Ludi Plebeii ran every 4-17 November, and featured day after day of exciting races at the circus and drinking sessions. The games were then followed by three more days of entertaining markets. The primal gods the plebeians favoured at their festivals were Ceres, provider of bread, and Father Liber, the Dionysiac god of wine and liberty. An exemplary ‘Plebeian Games’ carousal constitutes the fifth act of Plautus’ Latin comedy Stichus, which was actually performed for a lower-class audience at the Plebeian Games in 200 BC. 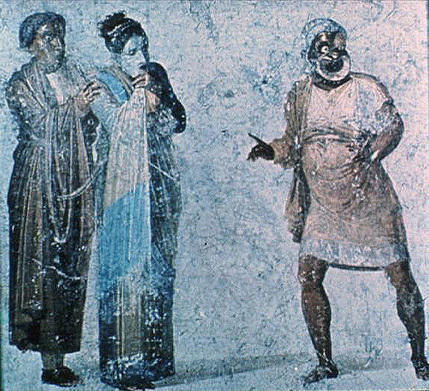 Three slaves, who have got hold of a barrel of wine from Samos, hold competitions in drinking, dancing and kissing. The Plebeian Games were some of the oldest in the Roman calendar. One ancient scholar said that they were first established to celebrate the day when the plebeians won their liberty during the days of the early Republic. What’s not to like? The focus on liberty at the Plebeian Games would surely make restoring them every November a better way of getting through this most depressing of months than enduring the Anglo-Saxon festivals currently on offer. In the USA, ‘Thanksgiving’ is dreaded by many Native Americans, who see it as a day to mourn rather than feel gratitude. 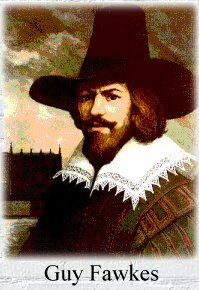 In the UK, we annually become pyromaniacs on November 5, ‘Bonfire night’. What we are actually celebrating is less the failure of a plot to blow up the House of Lords than the execution by torture of several Roman Catholics. 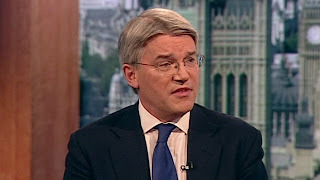 Lest I seem to have become obsessed with things plebeian since Andrew Mitchell, the Tory politician, was accused of calling police officers ‘plebs’, this will be my last statement about him until he next loses his temper. But this may be as soon as next Thursday, when he has been summoned to give evidence to the parliamentary International Development Committee. The committee is curious about a financial grant Mitchell made in an odd hurry on the very last day he held the office of Secretary for International Development. The grant was made to the president of Rwanda, Paul Kagame, whose human rights record is sounding increasingly creaky. Two members of the committee Mitchell faces are indisputably ‘plebeian’ (the Scottish MP Michael McCann and Richard Burden, Liverpudlian MP for Birmingham Northfield). If, on Thursday, Mitchell has been for ‘a large curry’ at the expensive Westminster Cinnamon Club, as he had before his altercation with the police, then we may be treated to a display of verbal fireworks, in the form of class-based insults. Meanwhile, roll out the barrel, and declare the 2012 Ludi Plebeii open!